The toys-to-life category is a relatively new one that picked up steam in the US just about five years ago, and brings together physical toys and video games. Essentially, you can use real life toys to unlock in-game content that varies from game to game. For example, Nintendo’s Amiibo figurines can be used with Splatoon for the Wii U to grant players access to a lot of single-player content. 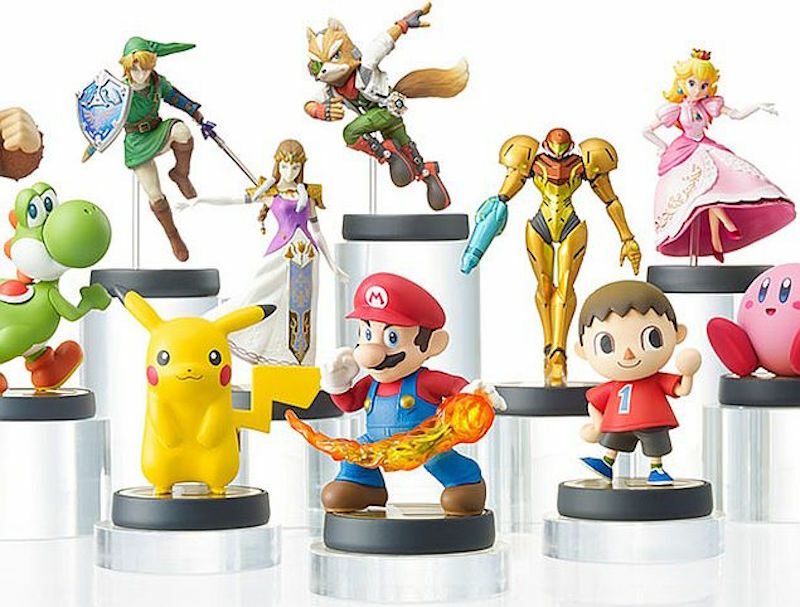 With the Wii U version of Super Smash Bros., the Amiibos open up new levels and costumes, and you can save your character data to the toy, turning your Amiibo into a portable memory card of sorts. 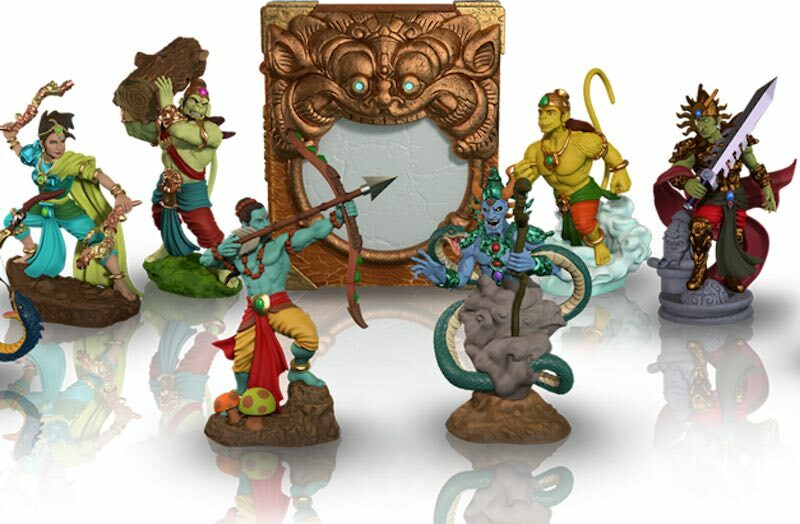 Aside from Nintendo, Activision and Disney both have a large stake in the category with their Skylanders and Disney Infinity toys. Warner Bros. is a late entrant with Lego Dimensions. Skylanders alone is estimated to be worth 3 billion dollars. So it’s perhaps no surprise that someone is now experimenting with the model as well, with changes to suit Indian sensibilities. 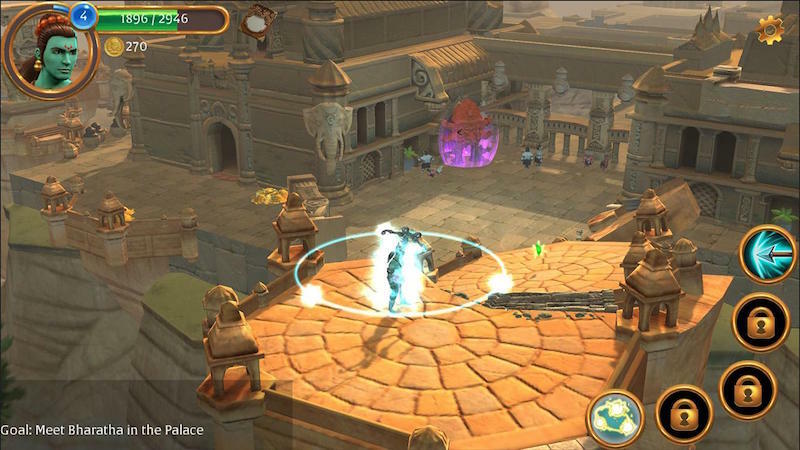 Which, in this case, means toys and games set within the Ramayana, thanks to California-based Gamaya, which recently launched its Android and iOS game Gamaya Legends. It’s set in the Ramayana, and your adventures will take place against the backdrop of this mythological epic. Aside from this, Gamaya has also launched a number of toys you can buy, which connect to the game via Bluetooth. Doing so lets you unlock a character to use in-game which evolves as you keep playing. An old hand at Electronic Arts, Vaidyanathan was the technical director for the MySims franchise. Through Gamaya Legends he “seeks to rekindle an interest” in the stories of the Ramayana. At the same time, religion is a hot-button topic in India, and Gamaya has to balance creativity and religion. Vaidyanathan says it’s all about being careful not to offend sensibilities. That’s also why, though the game is based on the Ramayana, you aren’t playing one of the characters from mythology. Rather, you’re on a mission to ensure that the epic exists. 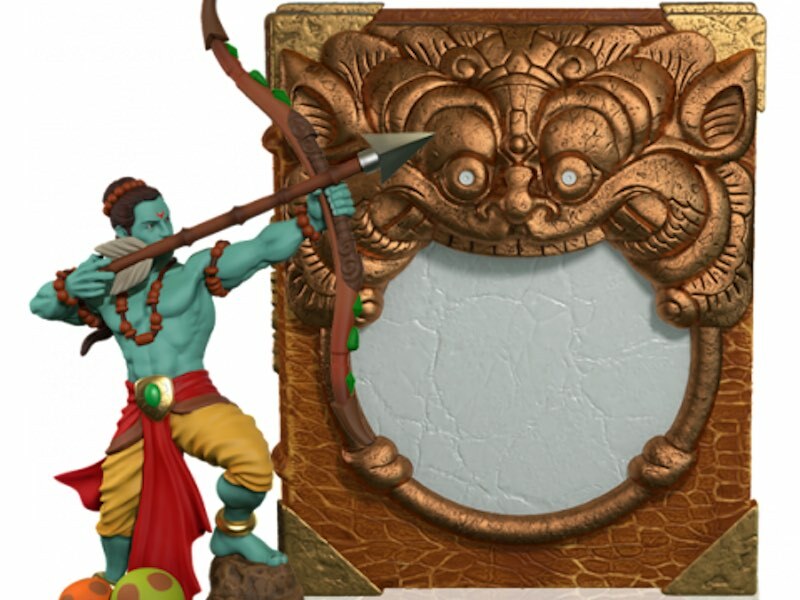 The idea, according to him, is to give kids “a window into the original story.” It also allows Gamaya to enhance the game with lore known to experts in Hindu mythology. Unlike most startups, employees at Gamaya aren’t fresh out of college. Rather, it’s helmed by video game industry veterans who have worked at studios such as Electronic Arts, LucasArts, and Activision. It’s a bold move, as the toys-to-life category is pretty much non-existent in India. Barring a few token attempts by distributors to bring in Activision’s Skylanders range, and parallel imports of Amiibos, there’s been very little to show in India. Vaidyanathan is aware of the challenge of being one of the first to market. He’s hopeful that the quality of the game and toys would be enough to drive interest. “The trick now will be in working with the right channels and arriving at the right price points to get wider market acceptance,” he affirms. Next, Gamaya plans to sell toys individually. At the moment you can only purchase the starter pack that has 10 characters. Plans for a sequel are also in the works as well as a launch for international markets. 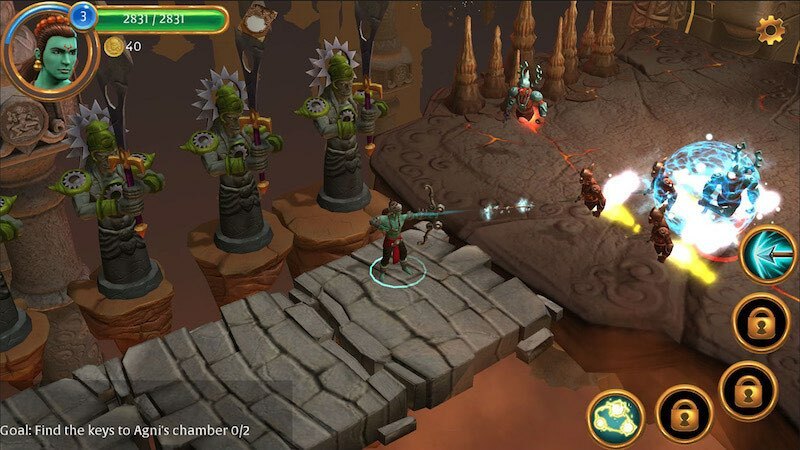 What’s interesting though, is its strategy for in-app purchases for the game. A quick check on Google Play shows the IAPs selling for a staggering Rs. 988.70 upwards. Vaidyanathan states this was intentional. “The IAP on Android are equally priced as the physical toys [that unlock the same IAP],” he points out. “This is so as to not devalue the physical game itself as the whole point is the engagement between physical and virtual worlds.” It’s on the higher side considering that revenues on IAPs in India are problematic for most developers. So much so that stalwarts like Rovio have struggled here. Nonetheless, it is early days for Gamaya, and Vaidyanathan wants to extend its grip on tales of yore with his sights on the Mahabharata next, though he doesn’t rule out other genres and moving beyond mythology either.